over the years I have figured out the kinds of things that can take a nice space and make it an awesome space. #1 on that list is house plants. this plant I picked up, along with 2 more who need to find a home in my house, at a yard sale for $2. two dollars! and the lady who was selling them was super sweet and I told her that I would try my best to keep them alive. so I am trying. 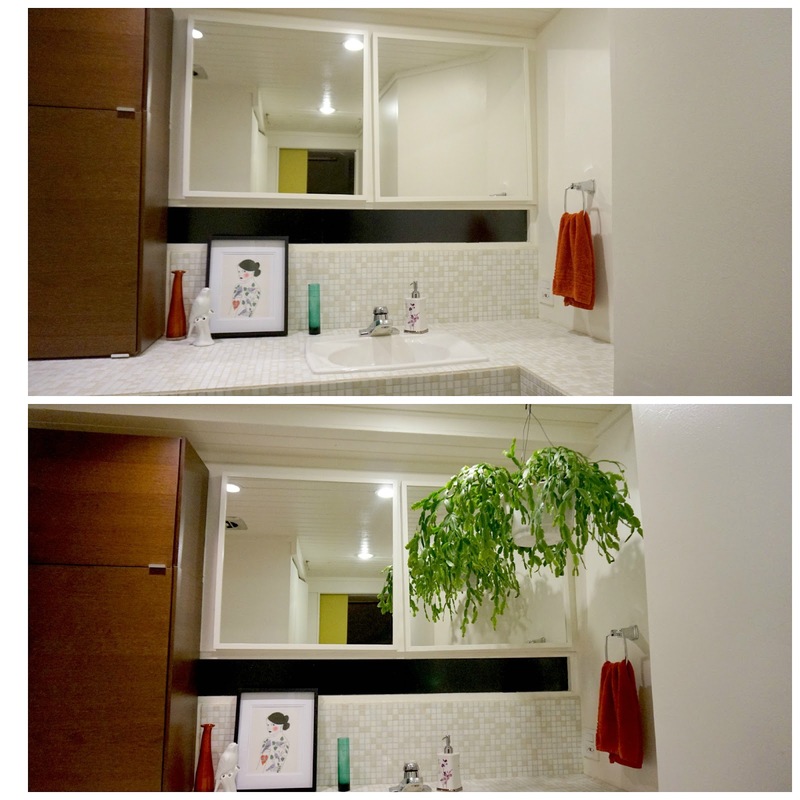 this is the before and after of our bathroom. pre and post plant. it fills up that weird angle perfectly. if I had planned this photo shoot better a) it would have been day time and the lighting would have been better and b) those vases would be filled with flowers. Saturday I was a very lucky girl and scored a lot of great things to stock the brand*eye home shop. I found lots and lots of excellent planters. The yellow one above is my favorite. These work really great to store things around your home. I use them for bracelets, keys and misc items. I always look forward to the beginning of Autumn and the crisp chill in the air. But the part of fall that I enjoy least is that most of the outdoor plants die for the season. What if I could tell you that this doesn't have to happen. (Writing that sounds like I am in an infomercial.) But it's true. There are a few plants that you can take clippings from and overwinter inside your home. This means that you will have to buy less next spring and having them inside your home will cheer you up all winter. WIN WIN!